All participants must attend a school which offers National Archery in the Schools Program (NASP) lessons as part of the in-school curriculum. Before registering for competition, shooters need to obtain their DNR Shooter Number from their coach. All participants will register as individuals. Please let the DNR officials know the day of the competition whether also shooting as part of a team. T-shirts will be at your venue. Medals will be awarded to the top three place finishers in each division of the individual competition, as well as all the members of the top three teams in each division. 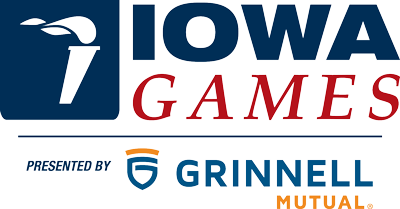 $10 Entry Fee per archer payable to the Iowa Games. Coaches are asked to pay with one check for their team or to collect individual checks from each archer. The coach is to bring the check(s) to the tournament site and pay the Iowa Games. All payment will be collected onsite. Single entry fee includes both individual and team competition. Athletes MUST register through the DNR NASP tournament website.